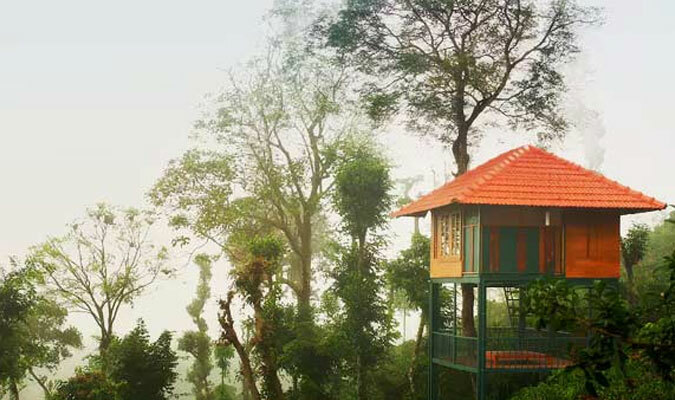 Tree Houses, Wayanad are built in the strong arms of natural teak wood. This is a beautiful natural lodging. Perfectly stable, with no swaying even when you are climbing. You will feel like a natural tree dweller. The tree house has a veranda, a platform to revel in the bliss of the scenery.